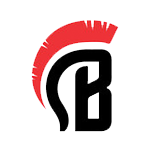 About BizWarriors BizWarriors is the leading entrepreneur and small business forum covering how to plan, finance, promote, and grow your business. What can BizWarriors offer and how can we help you reach your goals? Check out the main BizWarriors website for information on what services we offer and how we can help you as an entrepreneur or small businessman. Become a BizWarriors Partner. Inquire about pricing. 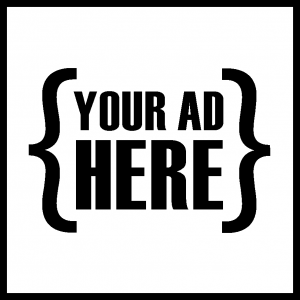 Tell us what you'd like to advertise and where you want your ads to appear. Special offers and discounts for BizWarriors members, including Entrepreneur Training Courses. Welcome Introductions from new members. How to use this forum. Technical support. Suggestions and requests for new features. How to improve the BizWarriors Forum Community. Say hello and tell us a little about yourself and what you do. Questions about navigating and using the forum. How to create threads, reply to threads, add images to posts, etc. Your suggestions, feedback, bugs, or tech support queries. How to plan, start, and finance your business. Information and tips on running and managing your business. Promoting & advertising your business: Social media, social sharing, blogging, content marketing. Technology, websites, search engines, SEO, local search, apps, and software. Request a site review for your website. Post the link here and tell us what the focus, purpose, and/or goal of the site is. The BizWarriors community will give you feedback and suggestions for changes or improvements to the site. Devices that you find useful in your professional or personal life. Helping your business to grow, thrive, and flourish. Expanding your business after the startup: Ideas for creating new customers and new avenues for income. Balancing work, family, socialization, and you. Networking and Investing Note: Some of the features in this forum will soon be moved to a more visible Resources area. Posting in most sections of Resources will be by subscription only. Details to be announced. Financial security and growth through investments. Classified ads: products & services; partners & investors; employment; businesses for sale. Classified listings from BizWarriors Forum members. Create your Resource manager Subscription at Account Upgrades. The Break Room General and off topic discussions. If your post doesn't fit anywhere else, it probably belongs here. For topics that don't really fit anywhere else.